Here, you’ll find a wonderful selection of goods for the home that will help save the planet and save your bank balance too. Find vintage goods that have been repurposed, craft items made from recycled materials – all of them as stunning and beautiful as the examples you see here. We love the solar powered lights that you’ll see on the site – I haven’t seen anything like them anywhere else. 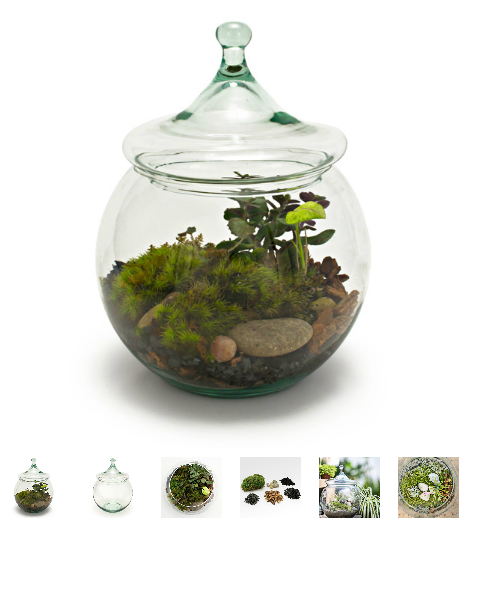 Plus look at the lovely terrarium below; it comes complete and ready to display.